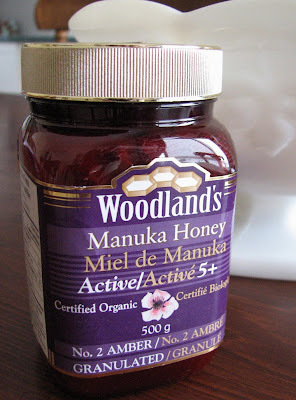 I had never heard of Manuka Honey before, but you can read all about the medical bells and whistles here. It has been studied for over 20 years, with successful results in both humans and animals. We also got lucky and found this amazing New Zealand Honey at a local Health Food Store, here in Canada. 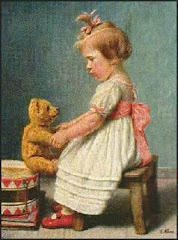 We did not have to wait for a mail order and could begin treating her with honey on her bandages right away. Yes, it is as simple as that. Hi Karen...Oh, I am so happy Cider is getting better. What a wonderful find. Glad it is helping him...and in turn helping you! That is simply wonderful!!! It is so neat that you found out about the honey!! Karen,,,i just read an email about putting honey on wounds. Very glad things are getting better with Cider. It is hard to watch our pets when they are sick. You have had a long haul...take care, praying for you. Karen, hope you are better now, and glad to hear Cider is getting better too. It's so hard for us when our babies are not well, isn't it! Give her a hug from Kim and me. I'm so glad I read your blog today...I have an aging Irish Setter and he's having trouble walking....we see our vet this Saturday..I will make note of the honey. Hope I can find some here in Maryland. Wow, that's great, I am so happy it is working for Cider, I am going to bookmark this site incase I ever need it. I'm glad Cider is finally starting to heal! She's such a good girl and how frustrating for her not to be able to chase all the little creatures in your wonderful back yard. I'm sure the groundhogs are celebrating, though ; - they beter watch out for her, when she's better! Thank you for the heads up on this Honey; I will look it up. It is quite unusual when things like you mention happen unexpectedly it‘s as if someone above is watching and lending a hand. So glad to hear Cider is doing better. I am so glad that Cider is starting to heal ~ poor dog. 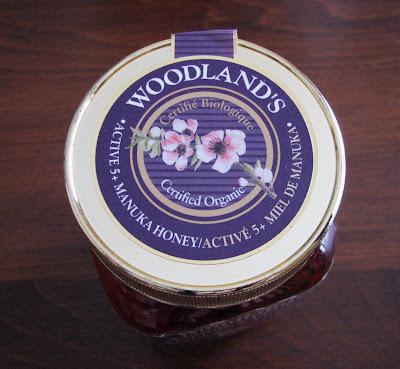 Yes, Manuka honey has the most amazing qualities and almost like an antibiotic. When my Mum had an ulcer on her leg after the fall when she broke her hip, the Dr. suggested she use that and it healed up so quickly and well. It is a miracle treatment. Please give Cider a hug from me. I'm glad that Cider's leg is finally healing. Thank you for sharing the wonder honey treatment info! We have three dogs and you never know when this kind of information will be needed! I'm glad the honey is helping... I wonder if you can get some with a higher UMF number? The higher, the better/ faster the result you can expect. Sorry I should have followed up on you earlier.